Join the Donley’s team and start building your future with us. Donley’s has achieved rapid growth in the fast paced environment of concrete. We are looking for hardworking field and craftworkers to join our team. For more than 75 years, Donley’s craft workforce has been the foundation of our continued tremendous growth and success. Our field leadership team offers a collaborative approach and is committed to developing a career path for a rewarding career with hands-on training opportunities. Craftworkers are recognized as the foundation of the Donley’s organization. Their constant drive and attention to safety, set our team apart. 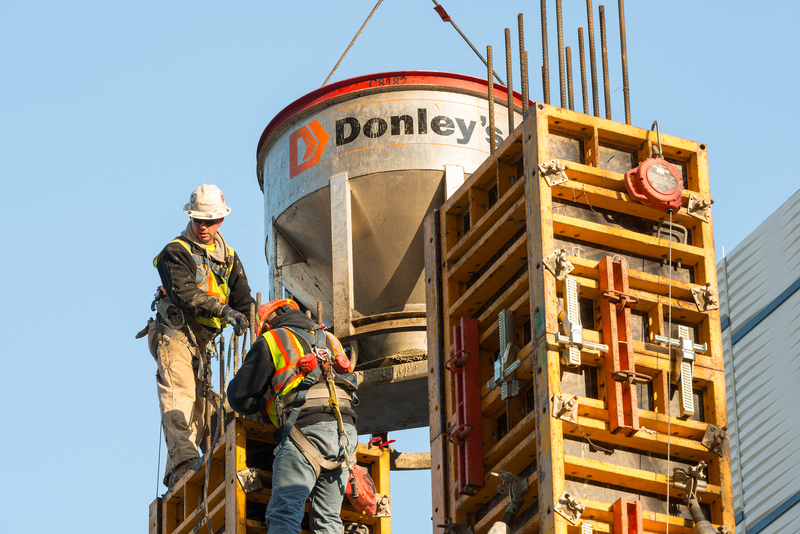 With the help of their enthusiasm, commitment and dedication, Donley’s has continuously set the industry benchmark for quality, efficiency and service in concrete construction.